This paper proposes an exploration of the Lego Transmedia World. The starting point is a definition of a Lego aesthetics based on four characteristics: modularity, translatability, intertextuality and a tripartite nature of Lego minifigures. A brief analysis of the most popular types of Lego products – toys, games, video games and movies – will delineate a continuum that goes from different degrees of playfulness to mere readership: continuum in which videogames hold a special position. The final aim of this article is to underline, thanks to the Lego case study, the complexity and variety of the knotty intertextual nets that characterize transmedia realities. KEY WORDS: Lego aesthetics, toy, cinema, videogames. Playful phenomena are often exploited as source of inspiration by film-makers. Toys, after videogames, are the most fruitfully exploited playful phenomenon, featuring both films about generic toys (as Pixar’s Toy Story) and inspired by real products – as Barbie, G.I. Joe and Transformers. However the only toy-inspired film that had a genuine success, appreciated both by audience and critics, is the Lego movie. The path of Lego from toy to cinema features many steps, among which the creation of many video games. This article aims at investigating the role and position that Lego video games hold in the definition of a Lego aesthetics and in its application to different media. The transmedia phenomenon that we refer to with the world “Lego”, is complex indeed. It has been analyzed both as a language  and as a parallel, alternative world . Undoubtedly Lego aesthetics are very well defined in the collective imagination. We will try, here, to describe it focusing on four main characteristics. First of all, Lego are bricks, construction sets: Lego are meant to build things. This fundamental characteristic goes through all kind of Lego products: objects (and also people) can be reduced to unbreakable pieces ans used to build other things. Objects and people from the Lego world, are alternative to their real-world counterparts. 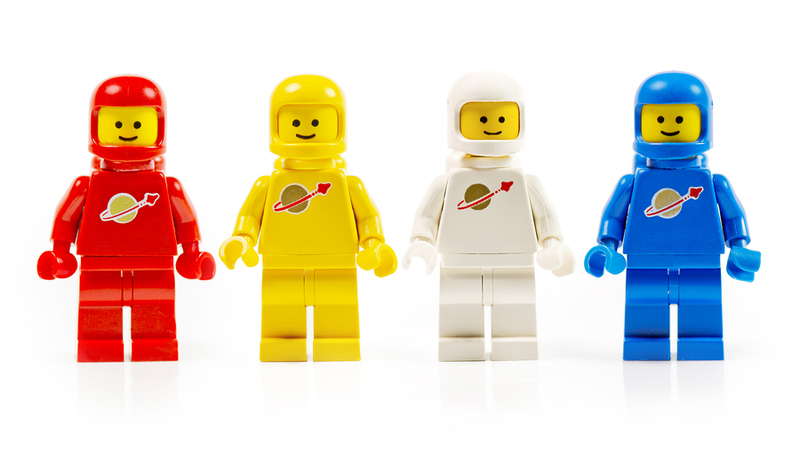 Lego minifigures have their own characteristics: yellow skin, cylindrical heads, few facial traits, polygonal bodies, painted clothes, and limited possibilities of movement. This features can be summarized as a system of differences from humans: applying this system to an existing or fictional human being, allows to translate him or her into the Lego world. 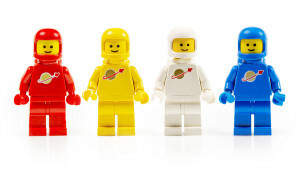 The same happens with objects that can be adapted to a set of standardized characteristics (connectivity, standard sizes, reduced range of colors) and become Lego. Lego aesthetics, therefore, are fully applicable to any existing creature or object, making our world fully translatable into the Lego world. In his article “Dolls in the system of culture” Jurij Lotman describes the difference between statues and toys as a matter of details: statues have many details in order to convey the artist’s message, toys, instead, have less details and let the player’s imagination free to complete them. – Role-based minifigures, which display a certain amount of details to indicate their thematic role  (medieval warriors, football players, policemen and so on). – Characters, both from Lego and licensed fictional worlds, the detail and characteristics of these minifigures portray, without any doubt, the identity of one single person, with all his isotopies, background narrations and abilities. Lego modularity, of course, complicates further the situation: body parts and accessories can be mixed in order to create endless new minifigures. In 1999, in the occasion of the release of Star Wars Episode I: A Phantom Menace, The Lego Company, for the first time, produced licensed theme based construction sets; since then, Lego exploited many other licensed franchises: Indiana Jones, Pirate of the Caribbeans, The Lord of The Rings, Minecraft, Batman, The Simpsons, just to mention a few. Every narration is susceptible to be translated into Lego, and the characteristics of the Lego aesthetics make this translation, not only possible, but suitable, allowing the audience to become playful and to re-enact, to question and to parody the original narration – enjoying the freedom typical of a toy-based playfulness. Lego-related products are endless, counting unofficial fan-made creations and works of art . Here we will list only few of them, reconstructing the path between brick and cinema. The construction sets are the first and most important of all Lego creations. Caillois  would classify them as paidia, being a free form of play, with very few and neglectable rules. The difference between the three types of minifigures (characters, roles and actors), related to the evolution of Lego sets through time, is present to its full extent only in toys, and gives rise to different degrees of freedom in play. The increased amount of details, in fact, appeals to the player’s desire of mimicry , but at the same time becomes a constriction, directing the course of play. Therefore, the less detailed are the toys, the more freedom has the player; the more detailed are the toys, the more mimicry is involved. Moving in the range between toys and statues, means moving between creation and representation, between authorship and readership. The Lego Group produces a wide range of games that exploit the Lego aesthetic in a more regulated form of play – what Caillois calls ludus. The Lego Games line consists in 24 boardgames, both based on Lego themes (e.g. Ramses and Ninjago series) and on licensed themes (Harry Potter). The modular nature of Lego aesthetics featured in Lego Games is very productive: boards and dices can be redesigned and their compatibility with Lego toys makes them susceptible to be adapted and modified in order to evolve the game play. Lego games feature, like most boardgames, a regulated form of play, in which the narration is extremely simple and mostly out of players’ control. The latter, however, thanks to the customization possibilities granted by Lego aesthetics, has an unusual mastery on the game’s rules. Since 1997 The Lego Group, in collaboration with many different developers, has published more than 50 videogames, half of which based on licensed themes. With the possible exception of Lego Creator, all the Lego videogames are forms of ludus: strictly regulated games. The Lego aesthetics has been applied to very different kinds of videogames, as racing games (Lego Racers), simulation strategy games (Legoland), real time strategy games (Lego Battle) and even a MMORPG (Lego Universe). Most of Lego videogames and, in particular, almost all the theme-based videogames (Ninjago, Bionicle, Legends of Chima, etc.) are action-adventure games. Lego’s modularity holds a central position in the working of these videogames: both for customization and as primary feature. However, differently from toys and games, Lego videogames are most of the times characterized by complex narrations. This is not surprising for action-adventure games, but even the racing or strategic games often have very well constructed backgrounds, interesting plots and enjoyable campaigns. The Lego Movie is a very smart display of meta-Lego thinking. On one side, it explicitly puts the Lego aesthetics in the foreground of the plot: the modular nature of Lego is both opposed by the villain, and praised by the good; intertextuality is stronger than ever (many characters of the film coming from licensed themes); and different kinds of minifigures (role-based and characters) represent different ways to approach Lego building (following the instructions vs free construction). On the other side, the film give prominence also to the Lego mythology: Benny, a broken blue astronaut from the 80s, represents the bond of affection that players develop with their oldest toys; “relics” (non-Lego objects as coins, rubber bands and similar) parody the disorder that is usually found in every kid’s “Lego box”; and the ending, with the threatening “little sister”, capable of destroying the Lego world, reflects a real-life problem of many young Lego players. Finally it is important to mention that the Lego Movie has been conceived as part of a transmedia playful narration: both construction sets and a videogame have been launched simultaneously with the film. The latter, therefore, is not considered as the end of a process of evolution, but as a new center of innovation in a knotty intertextual and transmedia net. 3 – BRIDGING BETWEEN TOYS AND CINEMA. The different Lego products listed above, define a range between playership and readership, according to the amount of details which are present in characters and to the presence of predetermined narrations. Starting from the most free form of play, paidia, we said that toys with more details, create a more effective mimicry, but at the same time restrict the players’ freedom. Games, thanks to their rules, trace a feeble line of narration that players must follow. Story-telling becomes more important and complex in videogames and a real plot finally appears. Finally, with films, the audience no longer participate to the narration, but reaches a degree of mere readership. Videogames hold a special position in this chain of translations, because, for the first time, they apply Lego aesthetics to a fully constructed narration. Thus they are of central importance in the definition and the translation of Lego aesthetics itself, from toy to film. In addition, Lego videogames are the first Lego product made without. . . Lego. Lego bricks were the raison d’être of all the other Lego products, fan-made tributes (as stop motion brickfilms) and works of art. Videogames substitute Lego bricks with a digital version, similar, but different. The Lego Movie is based exactly on this digital version of Lego bricks. Alas it’s not possible, here, to investigate more deeply videogames’ role in this transmedia translation. Nevertheless, this few pages are meant as a reflection on the importance of considering the relationship between cinema and videogames as being part of a wider chain of transmedia translations, that pervades all forms of play and of storytelling. Lego, thanks to their wide range of products, is a particularly good case study, but it is no exception. Many transmedia narrations involve toys, boardgames and action figures, that should be taken more seriously into consideration, if we wish to shed some light on the complex relationships between playfulness and story-telling. Caillois, R. (1967). Les Jeux et les hommes, Paris: Gallimard. Couplan, D. (1994). Toys that bind, in New Republic, June issue. Lotman, J. (1980). Le Bambole nel sistema di cultura in Salvestroni, S. (ed. ), Testo e contesto. Semiotica dell’arte e della cultura, Roma-Bari: Laterza, 145-150. Greimas, A. (1988). Maupassant: the Semiotics of Text: Practical Exercises, Amsterdam, John Benjamins. Roos, J., Said, R. and Statler, M. (2001). Lego speaks, Working Paper 20, Imagination Lab.